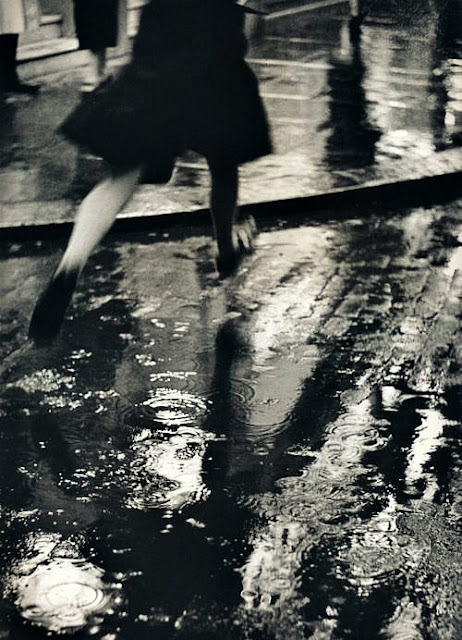 “Catch me!” She ran, shoes slapping on the wet pavement, sending up fountains of water from puddles not avoided. I followed, trying to stay dry under an umbrella protesting against the wind, counting in my head my remaining dry pairs of socks, apologizing with my eyes to those sensible commuters our noisy spectacle passed on the sidewalk. On an emptier street, she paused under an awning, pulled me close, stole a kiss. I would have lectured her, before, about catching cold; but not now, not anymore. I followed her through the rain towards our waiting hotel and a nervous bed.